My name is Will McCrory and I’m a third year PhD candidate in The Centre for Critical Theory and my research focuses on post-Independence Indian Modernism. 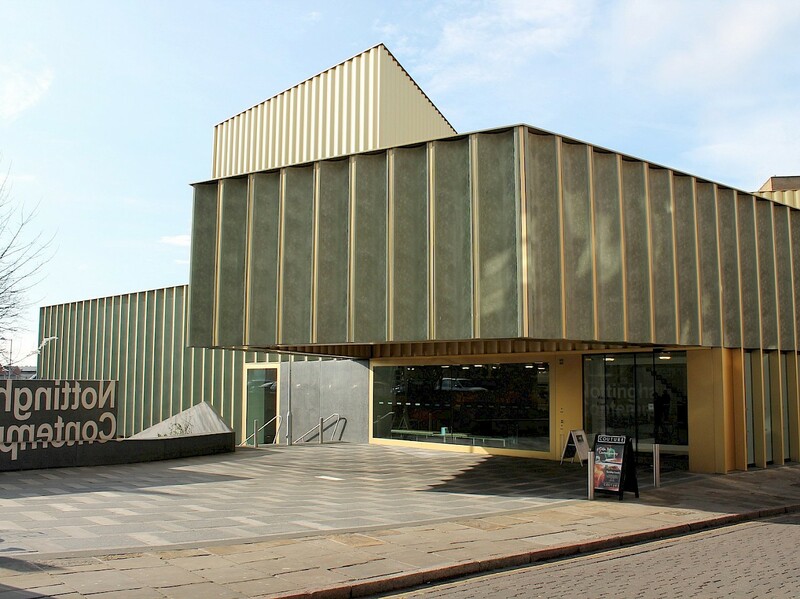 I recently started a three-month M4C placement with Nottingham Contemporary’s Public Programme team. From the start of my PhD I knew I wanted to take a placement with one of the M4C’s many external partners. When the opportunity arose to support the programming of public events related to Nottingham Contemporary’s Undead: Pop Culture in Britain Beyond the Bauhaus, part of the Bauhaus Imaginista Celebrations, I saw this as the ideal opening. Bauhaus Imaginista is an international partnership with Haus der Kulturen der Welt in Berlin, as well as cultural organisations and archives across the world, including Nottingham Contemporary, to mark the centenary of the Bauhaus. Through this partnership, Nottingham Contemporary is co-curating Undead: Pop Culture in Britain Beyond the Bauhaus. My placement is provided by the Public Programmes’ team and entails attending curatorial meetings, planning events, researching speakers and sending a lot of newsletters on MailChimp! The idea was that my research on the global dissemination of modernism would come in handy when programming events associated with the Undead, especially those that consider Bauhaus geographies beyond Europe and its engagement with colonial and post-colonial geopolitics. As part of the Bauhaus themed programme of events, I will also be supporting CAMPUS, which is a yearlong and city-wide independent study programme that combines monthly closed-door gatherings and free public talks. The programme will take place at different locations throughout the city – Nottingham Contemporary, Primary, Bonington, Backlit – hoping to facilitate a space where researchers, practitioners, activists, institutions and organisations can connect, collaborate and co-produce. CAMPUS is also a part of an ongoing public programmes research strand on ideas surrounding education and critical pedagogies (in which the Centre for Critical Theory has already been involved). So, I wanted to bring your attention to a range of events that will be taking place over the coming weeks and beyond. Firstly, in relation to CAMPUS, we are planning a trio of pre-events, the first of which took place recently on Thu 28 March. This event saw Anna Colin, Andrea Phillips and Xavier Wrona pose the question ‘What is an alternative space?’. This will be followed by CAMPUS Fugitive on Sat 4 May, which continues this series of events exploring ideas around education and critical pedagogies. CAMPUS Fugitive poses the question ‘How can illegibility generate new and disruptive practices?’. The pre-events will conclude with CAMPUS Episteme on Thu 13 June, which explores ways of sensing that challenge the norms of knowledge production. Our next study session with Evangelia Apostolopoulou on Tue 9 April investigates techno-managerial visions for nature conservation.